Tempo runs can mean lots of different things to different coaches, but the main idea is to keep them controlled. 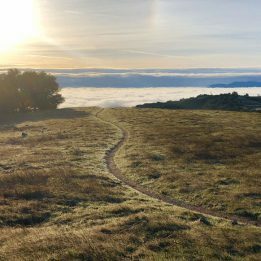 A runner in the midst and mist of an uphill tempo run in California. Imagine a workout on your training plan: 20-minute easy running warm-up with a couple of strides to loosen up, 20-minute tempo run, 20-minute easy-running cool down. Now let’s flex that imagination muscle. You probably know what the warm-up and cool-down running entail, picturing yourself jogging in a relaxed effort, with low perceived exertion, and maybe even a few dance moves as Taylor Swift comes over the headphones. If you read these articles enough, you can probably envision the strides too, short bursts around mile effort or a bit faster, thinking relaxed and not sprinting. But what about the tempo? Lots of runners left to their own devices will think that the faster the tempo, the better the workout. A three-hour marathoner could probably do that tempo around six-minutes-per-mile pace in a hard effort. Heck, yeah, that’s a beastly tempo! But it’s probably not as productive as it could be. Instead, based on traditional conceptions of tempo running, that athlete should be doing the tempo closer to 6:15 to 6:30 pace. Yes, this is one of those cases where slower and easier is better, and not just because it gives you more energy for some T-Swift air guitar on the cooldown. Let’s dig a bit deeper into that counter-intuitive message. Lactate threshold is approximately the effort range when the body begins to produce more lactate than can be cleared while staying at the same effort level. According to a 2004 article on the biochemistry of acidosis in the American Journal of Physiology, lactate and lactic acid are not Thanos-like supervillains that cause fatigue as you might have been taught. Instead, lactate is a key energy source (like vibranium). But it also corresponds with hydrogen-ion production during glycolysis (the breakdown of glucose for energy via the molecule ATP), causing some of that burning feeling we all know. So when we are talking about lactate threshold, we are talking about that good energy source increasing in circulation, but also a corresponding increase in fatigue from acidosis and other factors. You can read more about lactate kinetics in this 2010 review article in Acta Physiologica. Lactate-threshold training is complex and hotly debated. The debates are so hot that there are already three sentences in this article that make me cringe with worry (not even counting the Taylor Swift references). The basic premise is that training around that effort level improves the efficiency of lactate shuttling and clearance (themselves controversial terms), or how the body transports lactate and clears waste products that contribute to fatigue. As described in a 2016 article in the journal Advanced Sports Medicine Concepts and Controversies (side note: that journal must have the hottest debates), lactate moving within and among cells is key for performance, and it’s something that can improve with training. That’s why lactate threshold is one variable that can predict performance (including on trails, as indicated by a 2019 study in the International Journal of Sports Physiology and Performance), and it’s a key part of developing as an athlete over time. To summarize the biochemistry of glycolysis, metabolic acidosis and lactate kinetics substantially, going way too fast and racing a tempo run reduces the efficiency of lactate shuttling and clearance. Essentially, acidosis takes over and the benefits for improving lactate threshold and related variables are reduced from the potential in the workout. On top of that, going too hard can recruit the wrong muscle fibers and increase injury risk, reducing performance potential even as you go faster. Going easier than one-hour effort on sustained-effort runs also has a place in training, usually in the form of progression runs, steady-state runs or marathon-effort workouts. 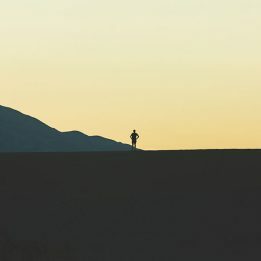 Those are beyond the scope of this article (but keep your eyes out over the next few weeks for an article on steady running). The coolest thing of all is that velocity at lactate threshold can improve throughout a training cycle and a running career while minimizing burnout risk. Legendary coach Dr. Jack Daniels helped give us much of the tempo running nomenclature in his book Daniels Running Formula, and he settles on something around one-hour effort, where lactate clearance and production are balanced. Some training approaches often focus on slightly faster efforts, like Tom Schwartz’s “critical velocity,” but almost all ascribe to the basic principle of not racing tempo runs. Note: the specific “threshold” in lactate threshold is not too important for most athletes, especially with the varying training approaches used by coaches. Outside of the lab, the body usually works along spectrums, rather than sharp inflection points, and stimuli don’t need to be smack-dab on a specific effort to cause positive adaptations. So whether your tempo effort is 40-minute effort or 70-minute effort is less important than the general Goldilocks principle—avoiding going way too hard or way too easy to support the adaptations you’re aiming for. We know tempo running is important, so should we do it every workout we can, starting after you finish reading this article on the toilet? Probably not. The reasoning gets back to running economy. Lactate threshold is great and all, but what we really care about is velocity or power output at lactate threshold. Most athletes need to lay a substantial base of easy running and faster running to make tempo efforts more efficient. In other words, a massive engine doesn’t matter if the car can’t handle the workload. You don’t want to put a Nascar engine in a go-kart, and you shouldn’t do too much tempo running until you have biomechanical and aerobic efficiency to support it. A good general guideline is to use tempo runs in moderation in a balanced training plan after enough consistent easy running and faster running to make tempo efforts correspond to faster paces. In addition, apply the rule of specificity—tempos help someone training for a marathon more than someone training for a mile, though they likely have places in both plans. The classic of classics, a moderately hard sustained effort that shouldn’t leave you trashed, but will get close to optimizing adaptations. I often like trail athletes to incorporate these types of tempo efforts within long runs, sometimes on net uphills to minimize impact and practice the biomechanics of climbing. Some coaches will have athletes do faster strides after these tempos to work on speed. The recovery intervals should allow some athletes to be more biomechanically efficient during the tempo portions. These Daniels-style “cruise intervals” reduce overall stress, and they make a great mid-week workout. 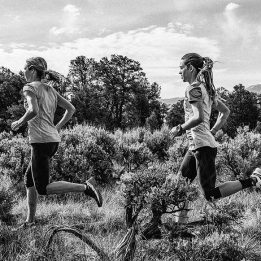 Doing cruise intervals on trails is a great specific strain as you prepare for trail racing. The big takeaway from this tempo-run intro course is to make sure you aren’t going too fast and essentially “racing” your training runs. Go to the well on race day and other special occasions. The remainder of the time, train to make faster feel easier, rather than practicing going harder. I so appreciate these columns from David Roche. Pretty much swear by his training suggestions.